We’ve been blogging for a while about the need to prevent infection to tackle AMR – and am really pleased to see that this idea is central to various AMR long-term strategies (e.g. the 5 and 20 year UK AMR strategies). 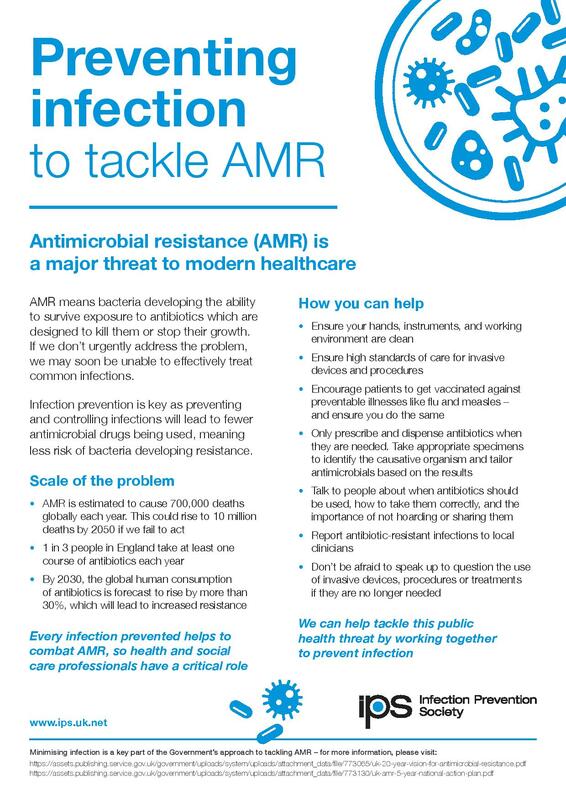 So I endorse wholeheartedly this new poster from IPS promoting messages aimed at healthcare professionals around preventing infection to reduce AMR.